Join the team of talented and dedicated volunteers working to make Whangarei's HUNDERTWASSER ART CENTRE with Wairau Maori Art Gallery a reality. Whangarei’s most ambitious community-led project is entering its next exciting phase; raising the funds and starting to build Hundertwasser’s spectacular art centre. Everyone involved is determined that the money raised should be spent on the construction of the art centre, not on paid fundraisers or project consultants. To get that important work done, we are building up our team of skilled and passionate volunteers. If you want to be part of Whangarei’s exciting art centre story, we want to hear from you. Below you’ll find the Roles we’re currently looking to fill and the Areas we need volunteer help right now. When you (or your organisation) find where you’d like to help, simply use the REGISTER button to get in contact – we’d love to hear from you. MarComms is responsible for identifying, producing and distributing information about the project and ensuring the community, funders and partners are always informed and involved. The history of this ground breaking project will make a great book at some future stage so having this information will be invaluable. Positions filled! We’ve had a huge response to our call for knitters, thank you 🙂 We’ll let you know when more are needed. This outstanding initiative will be a means of promoting Māori artists and advocating for high quality Māori art and expressions of culture. It will build a positive profile for all Māori, serving across all hapu and iwi, and will form an invaluable global link with other indigenous communities. We are pleased to offer our support for this project. We eat live and breathe tourism here. What better way to add to our economy than with a huge catalyst project like this. Plus the idea of upcycling is too cool right now to throw away. This will be a fantastic way to revitalise our region and inject some much needed life! By ensuring that there is a place within this project for Māori, he has taken this respect beyond mere lip service, thus guaranteeing and safeguarding Māori status as tangata whenua. I know Ngapuhi will see the Hundertwasser Art Centre as bringing mana of the highest standing to Northland. This Centre, and the proposed Māori Art and Culture Museum, will enhance what is already being made into a beautifully landscaped, scenic part of Whangarei. The Māori Art Gallery will provide a global platform for our local artists, right at the gateway to Northland. We have beautiful beaches, beautiful gardens, beautiful walking tracks, beautiful scenery, BUT SO DOES MOST OF NEW ZEALAND!!!!!!! Lets have a BEAUTIFUL difference. JUST do it!!!!!!!!!!! I will come from Wellington to visit the new gallery, and I will make sure my overseas guests and relations have it on their itineraries. This project will contribute greatly to building recognition for Te Tai Tokerau as a region of history and culture along with great artistic skill and quality. Lucky cities get given great gifts - dumb ones turn them down. A Māori Art Gallery within the Hundertwasser Arts Centre is visionary and timely. This will be the very building that will define Whangarei in the future. We will be known throughout New Zealand and the world for being bold and innovative. 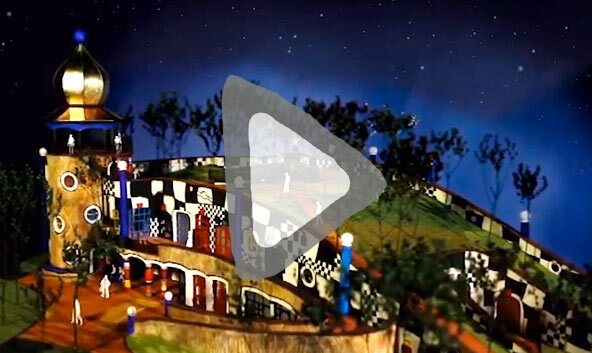 Hundertwasser was all about recycling, renewing and making things come alive. This building will do all these things for our fair city!